← Free Cone Day At Ben & Jerry’s Tuesday, April 8th! 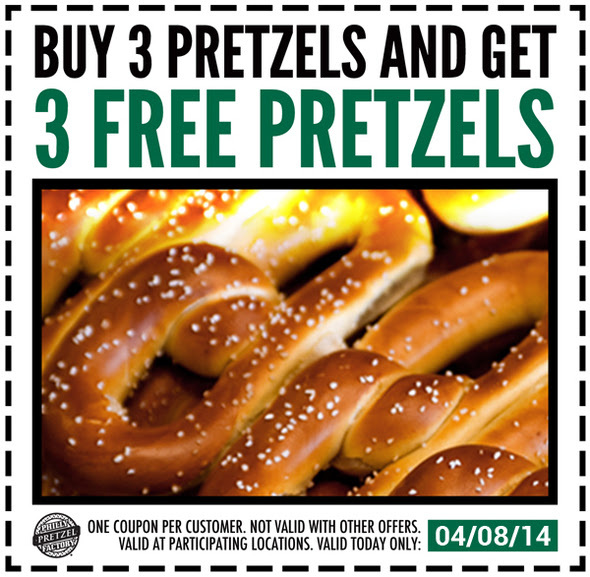 Click here to get a printable coupon for 3 free soft pretzels when you buy 3 at participating Philly Pretzel Factories…Tuesday, April 8th only! Can’t you just smell them now? !